INFO: Award winning 1903 historic hotel. Recently restored and reopened. Variety of rooms and suites. All non-smoking. Free Wi-Fi. Open April through October. INFO: Featuring new fabrics, antique and repurposed clothing, jewelry, home décor, furniture, wall art, soaps, etc. An alzheimer's and dementia speciality house. A Waterville Community Newspaper and Legal Newspaper for Douglas and Chelan Counties. JOHNSON, GAUKROGER, SMITH & MARCHANT, P.S. 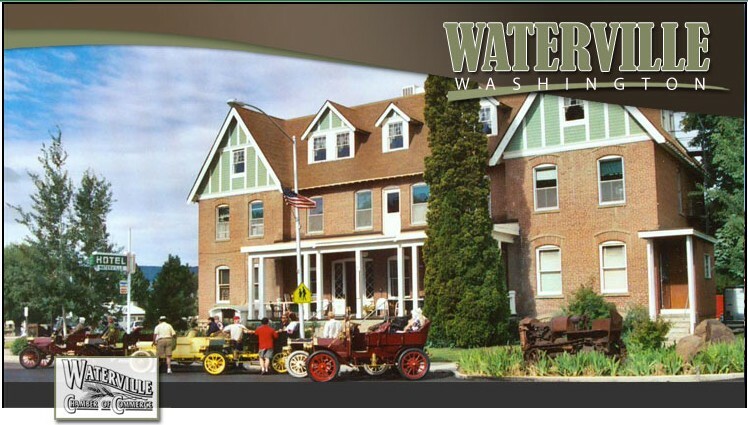 Our twelve member law firm has offices in Wenatchee, Waterville, and Chelan. We provide a broad range of legal services to individuals, businesses, and government entities. Partner at Davis Arneil Law Firm LLP. We provide the following types of insurance: auto, home, business, farm, crop (MPCI/hail), life and health. Hours: 2:30 P.M. - 4:00 P.M.